Prosthodontic Group was formalised as an entity in 2011, with the group name resulting from the establishment of new premises within 24 Collins Street. The practice was established by Dr Donald Behrend back in 1967. Dr Behrend practised as a sole clinician until Dr Andrew Flood joined him in 1987. Upon Dr Behrend’s retirement in 1996, Dr Simon Wylie joined the practice. Dr Simon Watson and Dr Bevan Chong joined Prosthodontic Group as associates in 2011 and 2015 respectively. The practice prides itself in the provision of excellent patient care and establishment of a long and successful history within the dental community of Melbourne. Dr Flood completed his Bachelor of Dental Science in 1982 and his Masters in Prosthodontics in 1986 at Melbourne University. Subsequent to this, he spent the next two years as Visiting Professor in Prosthodontics at North Western University in Chicago, USA. Since his return from America, Dr Flood has been practicing as a Specialist Prosthodontist in Melbourne. He has held hospital appointments as Consultant Prosthodontist at Royal Melbourne Hospital and The Alfred Hospital. He holds a teaching appointment at Melbourne University and has been involved in the Prosthodontic Specialist training program there for over twenty years. He also lectures extensively on a national and international basis. Dr Flood is a fellow of the Royal Australasian College of Dental Surgeons. Dr Watson completed his Bachelor of Dental Science with Honours at the University of Melbourne in 2003. Prior to postgraduate specialist training, Dr Watson worked in a variety of general practice settings in country and city locations. He returned to Melbourne Dental School in 2008 to undertake his specialist training in the Doctor of Clinical Dentistry prosthodontics program. In addition to specialist clinical practice at Prosthodontic Group, Dr Watson also holds clinical consultant positions at the Royal Children’s Hospital and the Peter MacCallum Cancer Centre. He is an instructor in the graduate and postgraduate prosthodontic teaching programs at the Melbourne Dental School, and also lectures periodically for continuing professional development programs for dentists in Victoria. Dr Watson is the current Federal President of the Australian Osseointegration Society, a committee member of the Australian Prosthodontic Society (Victorian Branch) and the Australian Osseointegration Society (Victorian Branch), as well as a member of various other local dental study groups, the International Team for Implantology (ITI) and the Australian Dental Association (ADA). Dr Garg completed his Bachelor of Dental Surgery in 2007. After working as a general dentist for few years in Perth, Australia, he started his postgraduate training at the University of Melbourne in 2015. During the postgraduate program he was awarded with the Dr. Steele Award for outstanding clinical skills and received his Doctor in Clinical Dentistry (Prosthodontics) in 2017. He enjoys all aspects of prosthodontics but has special interest in aesthetic, reconstructive and implant dentistry. 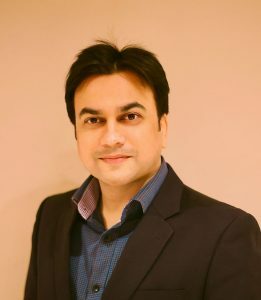 Dr Garg likes to stay updated with the latest techniques and development in the field of prosthodontics through continuous education. He continues to be involved in prosthodontic education as a clinical supervisor at the University of Melbourne. He is currently on the committee for the Australian Prosthodontic Society (Vic Branch) and is affiliated with the Australasian Osseointegration Society and the Australian Dental Association. Outside dentistry Dr. Garg loves to spend time with his family (Wife- Gazal & son – Amiek), travelling, photography and playing cricket. Dr Wylie completed his Bachelor of Dental Science at Melbourne University in 1990 and subsequently worked for a year at Alice Springs Community Dental Health. In 1992, he returned to Melbourne for postgraduate studies and completed his Masters in Prosthodontics in 1993. He spent the next two years as Assistant Professor in Prosthodontics at The University of Alberta in Edmonton, Canada. Since his return from Canada, he has been practising as a Specialist Prosthodontist in Melbourne and Geelong. Dr Wylie continues to be a clinical instructor at The University of Melbourne teaching in the program for specialist training. He is also actively involved with continuing education and lectures regularly on a national level. Dr Wylie is a fellow of the Royal Australasian College of Dental Surgeons and a faculty member for the Graduate Diploma in Implant Dentistry at Charles Sturt University. Dr Chong completed his Bachelor of Dental Surgery at the University of Otago, New Zealand in 2005. After several years in public and private practice in New Zealand and Australia, Dr Chong pursued his specialist prosthodontic training at the University of Sydney, receiving his Doctor of Clinical Dentistry (Prosthodontics) in 2013. He was also awarded membership of the Royal Australasian College of Dental Surgeons in Prosthodontics. Since completing his specialist training, Dr Chong has been involved in teaching prosthodontics at graduate and postgraduate levels at the University of Sydney as a specialist clinical educator and a member of the Planning Committee for the Doctor of Clinical Dentistry (Prosthodontics) program. He also maintained a specialist position at Westmead Hospital. He continues to be involved in prosthodontic education as a clinical supervisor at the University of Melbourne. Dr Chong is an invited reviewer for the International Journal of Prosthodontics. He is a member of the International College of Prosthodontists, Australian Prosthodontic Society, Academy of Australian and New Zealand Prosthodontists, New Zealand Dental Association and Australian Dental Association.